When planning a wedding, one is always keeping in mind the whole picture – from matching your stationery, to your flowers, to your dress, to your venue, to your everything, we know you brides have it down to a tee. But why limit yourself to just one of the senses? Bridebook was lucky enough to partner with Jo Malone London, the British scent powerhouse, to learn the best ways to up the wedding game with scent – from pre-wedding pampering, to picking the perfect scent for your venue, read on to hear what Jo Malone London has to share on perfecting the scent element to your wedding. Enjoy! Here at Jo Malone London we know that in the lead up to your wedding day, there are many different elements that the bride and groom have to consider. Firstly though – a moment for you! This is going to be a busy day and the best way to start is with a peaceful and pampering session. Take an indulgent bath infused with our Red Roses Bath Oil. Follow with a rich Body Crème such as Blackberry & Bay or Nectarine Blossom & Honey. The Body Crème will help hold your fragrance, leaving a trail of your scent throughout the day. 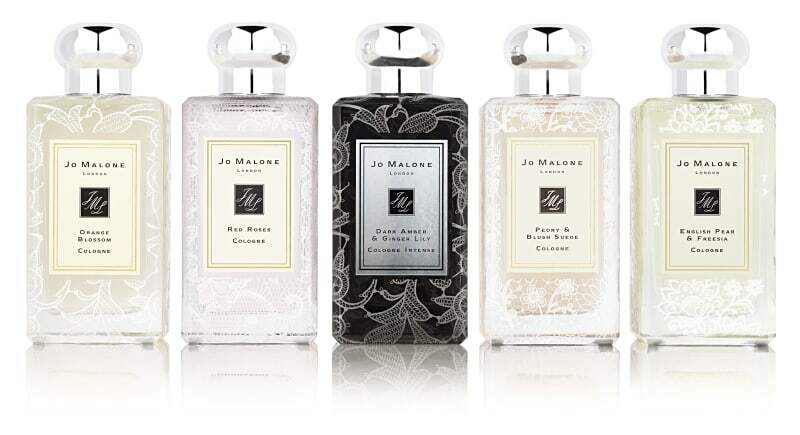 Then accessorise and layer with your favourite Jo Malone London scent. This fragrance can reflect your personality or capture a special moment and what could be more special than your wedding. Choosing a fragrance to suit your dress is also something to consider. Depending on the season you may have a different kind of dress design; something more structured in the winter or more floaty and light in the summer. Your scent can change to work with both and perfectly fit the atmosphere. Chiffon dresses are light and airy so something like English Pear & Freesia with Wild Bluebell creates a cool floral fragrance, dewy with wild flowers and a fruity pear note. Peony & Blush Suede was inspired by the Cecil Beaton era and the English Ballroom with romance and fashion – this would be the perfect scent for a satin gown. It’s an opulent and flirtatious scent that fits with this aesthetic. Lots of brides and grooms do like to complement each other on their wedding day with their fragrances. All of our boutiques offer a complimentary wedding consultation service where our wedding stylists can help with combining signature scents for both bride and groom, as well as other members of the bridal party. 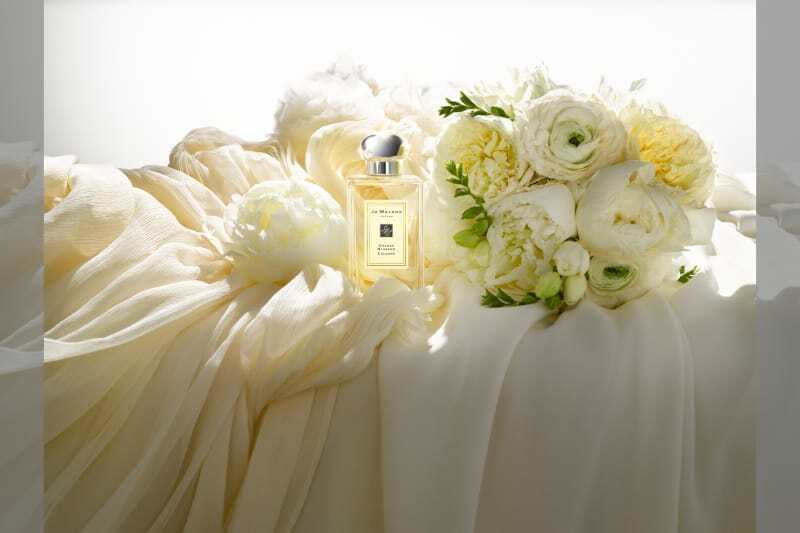 A wonderful bridal scent is Orange Blossom. A traditional bloom in floral bouquets, Orange Blossom is a symbol for good fortune and happiness for a newly-wedded couple. Alternatively, and perhaps more unusual, is the combination of Peony & Blush Suede with Red Roses. Like a freshly cut bouquet the voluptuous blend of seven exquisite roses adds modern romance with a clean and surprisingly fresh lift. All of these fragrance combinations will interlace perfectly with the groom’s more masculine Amber & Lavender. Together these offer a clean and aromatic fragrance combined with a floral freshness – the perfect match. Because the day isn’t just about the bride! It is nice to think of all of the fragrances, from your personal scent, to the venue and location together. They should go together but not be the same necessarily. For the venue think about the mood you want to create. I.e. an English countryside wedding can be emphasised with vibrant and verdant Blackberry & Bay. Scented candles add touches of style to the aisle, tables and reception space, and create an aroma to envelop the guests, for a lasting memory. The flicker of Orange Blossom candles scattered around the ceremony venue is incredibly romantic and enchanting. Seated for the speeches, surprise guests with a hand-bowed Travel Candle or Bath Oil; a thoughtful touch for them to take home. To complete the sensorial experience at your wedding, lightly spritz a linen spray over napkins and the table cloth to lift the scent of the candles and floral arrangements. At Jo Malone London we orchestrate a world of bespoke luxury and fragrance that is immersed in the modern British culture. By curating collaborations between world-renowned master perfumers and London’s leading creative talent, we are enduringly at the forefront of perfumery. At Jo Malone London our signature is elegantly simple allowing you to recognise the ingredients within the fragrance; our scents are transparent and modern. Fragrance combining is a key part of our philosophy, allowing each customer to find a fragrance combination unique to them. This can be through layering bath and body products with fragrance or spritzing two different colognes; it’s a personal choice for each individual. Happy Planning! Read other related articles here.